It is a busy year for Adam Nathaniel Furman. The London-based designer has been in Glasgow, where his Democratic Monument project was commissioned by Architecture Fringe and exhibited as part of the New Typologies show, his Four Gateways installation is taking pride of place in King’s Cross as part of the London Design Festival and his work The Roman Singularity is being exhibited at Sir John Soane’s Museum; he is also designing an apartment in Brussels, another one in Tokyo — and is launching a new furniture pair called ‘the Nakano twins’ as well as Revisiting Postmodern, a book he co-wrote with Terry Farrell for the RIBA. His style, like his taste, is eclectic and inclusive, which may be informed by the influence of a family tree that stretches from Japan to Israel to Argentina but is also a result of his time at the Architectural Association. ‘The AA teaches you to love everything, absolutely everything,’ he says passionately. 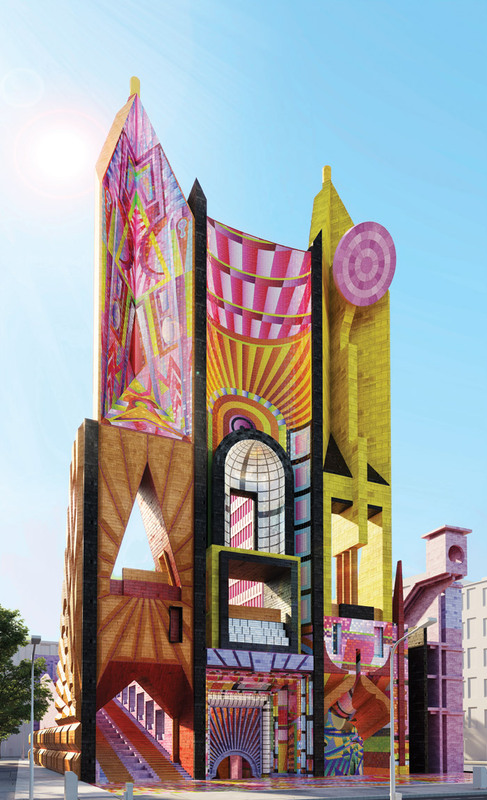 And it shows: Furman approaches architecture as an obsessive feast. At his own admission he adores it all, records it all — and, as I discover, can talk about it all in great depth. Furman sees architecture as a communicative iconic form, which his recent Democratic Monument project, a proposal for a ‘new kind of town hall for British cities’, powerfully conveys. He is fascinated by the symbolic visualisation of the notion of democracy, and the role of the town hall as that place of democratic representation, especially now. This ‘dragging’ of architectural forms — dressing them up, making them up in drag — is done as part of evoking an emotional, sensory response. Furman is captivated by the visual, and wants to ‘trigger people’s desire to eat through their eyes’, but for him the visual is a vehicle to connect with people, to affect them. But, he reflects, people in the UK aren’t particularly interested in this emotional form of architecture, at least not right now. ‘There is an assumption that if you use colour, you’re not a “serious” architect, that it’s somehow silly or too easy. 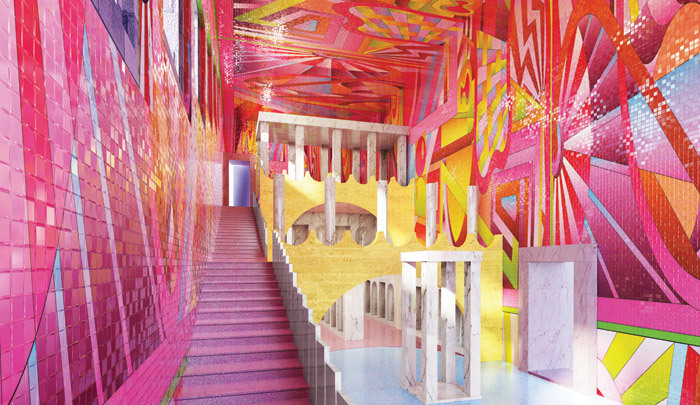 But colour is the quickest way to affect people, to create a feeling.’ Furman has been trying to counter this narrative with Saturated Space, a research group he’s been running for the past six years at the Architectural Association with Antoni Malinowski. It’s dedicated to exploring colour as an active protagonist in design, architecture and urbanism. ‘Architects refuse to talk about colour. So we made a space to encourage them to do it in,’ he says. But judging by how in demand he is, the leap may be imminent.